In yesterday’s posting “Fried eggs and fairy wands”, there were plants called fairy wands and wandflowers. How to get from (fairy) wands to the plants? It’s another metaphorical trip. Wands are just rods or sticks (so a great many plants with spire-like flowers would qualify), but magic/fairy wands in particular frequently have a showy element (very often a star, 5-pointed, or sometimes 6-pointed) at its tip — so plants with showy flowers at the end of thin stems (like Dierama pulcherrimum and Sparaxis tricolor) can be seen as similar to such tipped wands. 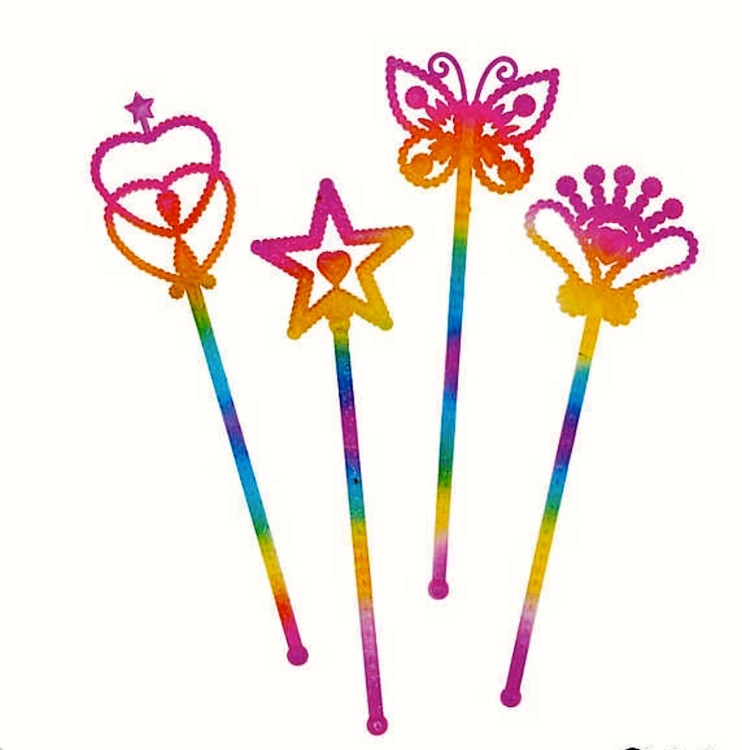 Having noted that, for Pride month I’ll go on to look at simple wands and showily tipped wands done in rainbow colors: truly fairy wands. 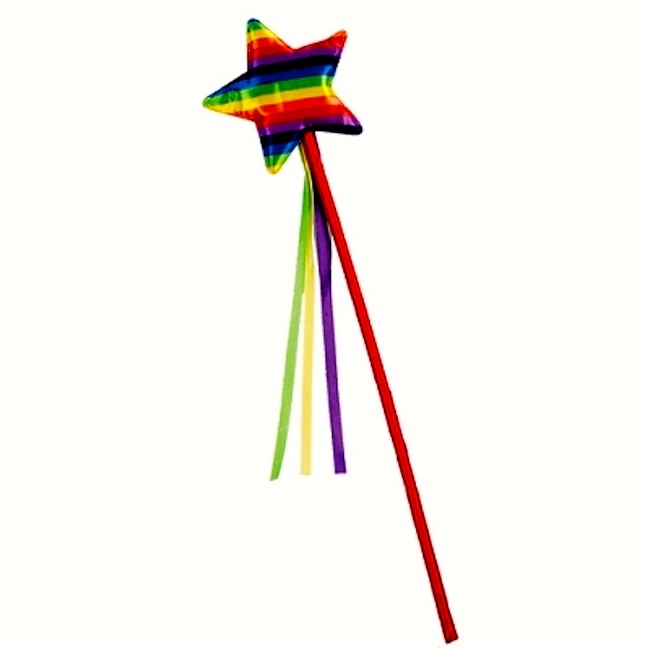 A wand is a thin, light-weight rod that is held with one hand, and is traditionally made of wood, but may also be made of other materials, such as metal or plastic. 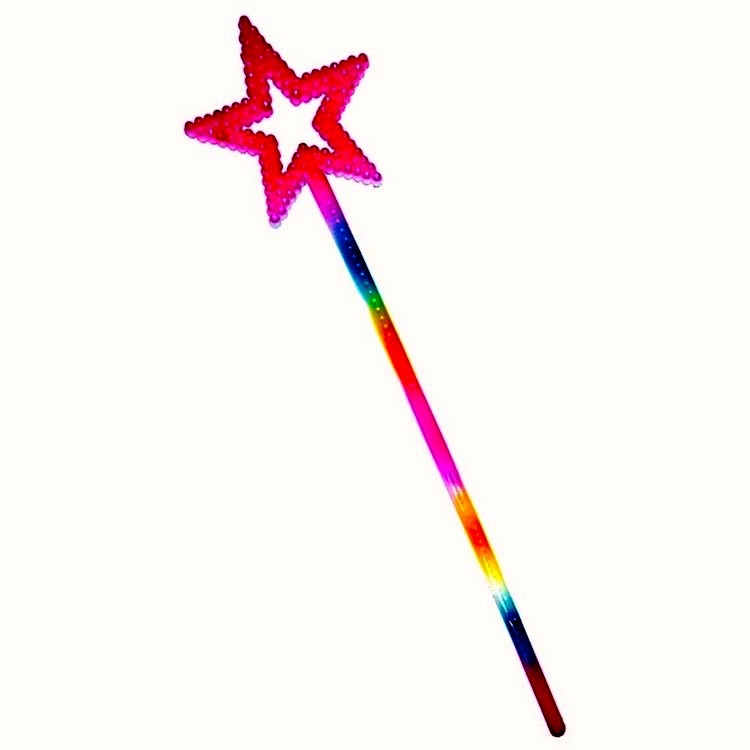 A wand that is used for magical purposes is often called a magic wand, rather than simply a wand. Wands are distinct from scepters, which have a greater thickness, are held differently, and have a relatively large top ornament on them. Just the smallest of samplings. 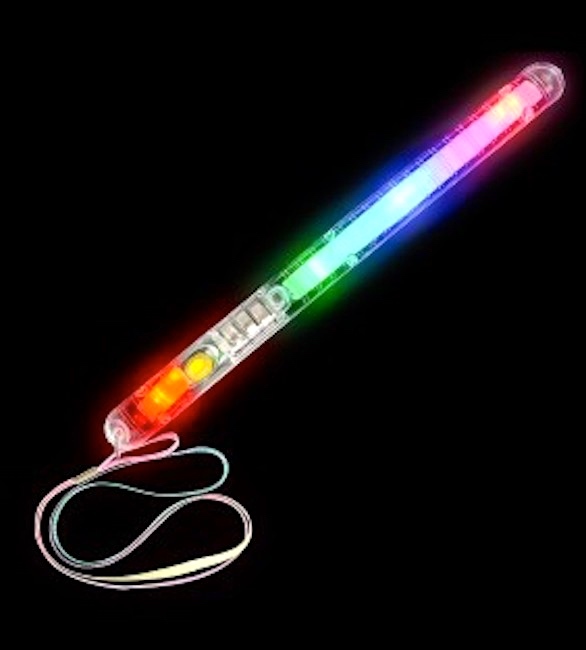 This entry was posted on June 19, 2018 at 1:52 pm and is filed under Gender and sexuality, Language and plants, Metaphor, Phallicity, Rainbow, Signs and symbols. You can follow any responses to this entry through the RSS 2.0 feed. You can leave a response, or trackback from your own site.